WEDNESDAY, Dec. 5, 2018 (HealthDay News) — Botox has other uses beyond enhancing lips and minimizing facial wrinkles. 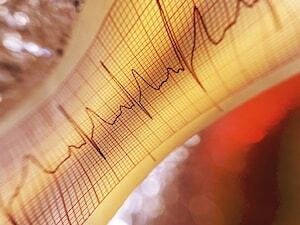 Scientists now say it may help prevent atrial fibrillation after heart surgery. A-fib — an abnormal heart rhythm — is common after heart surgery, and it’s linked to stroke and heart failure. But two new studies suggest that botox injections during surgery temporarily freeze nerve bundles in the heart, preventing the dangerous complication. In one study, botox injected into the fat pads near each pulmonary vein reduced odds of atrial fibrillation by 64 percent. The effect lasted over three years, long after the botox itself dissipated, said lead researcher Dr. Jonathan Steinberg. “Atrial fibrillation typically lengthens hospital stays and can have complications. Other drugs have been tried, but nothing has come out that is a solid, reliable performer, and there is no standard of care,” said Steinberg. He is director of the SMG Arrhythmia Center at the Summit Medical Group in Short Hills, N.J. In his study, 60 patients undergoing heart bypass surgery were randomly assigned to either botox or an inactive placebo. All received implantable cardiac monitors that tracked occurrence of atrial fibrillation. In the botox group, risk of a-fib dropped immediately after surgery, and fell fivefold to ninefold each year of the three-year follow-up, the researchers found. Also during follow-up, significantly fewer botox recipients were hospitalized for a-fib or needed treatment for it compared to the placebo group. Botox, or botulinum toxin, blocks signals from the nerves to the muscles. It’s a well-known tool in cosmetic surgery, and some doctors use it to treat neurological disorders including migraine, excessive sweating and eye muscle problems. In heart surgery, Steinberg said the drug appears to interrupt “cardiac neural traffic.” He believes the findings suggest a new approach to treatment. In the other study, Dr. Nathan Waldron and colleagues randomly assigned 130 patients to receive an injection of either botox or placebo while undergoing heart bypass surgery. “Injecting botulinum toxin into fat pads surrounding the heart during cardiac surgery may be a promising strategy to reduce atrial fibrillation after cardiac surgery, but further study is needed,” said Waldron, an assistant professor of anesthesiology at Duke University in Durham, N.C. The reduction in a-fib risk among the botox group wasn’t statistically significant — only 11 percent — but the episodes were shorter and less severe, researchers found. This finding may be due to the small size of the study, Waldron’s team said. Dr. Gregg Fonarow is director of the cardiomyopathy center at the University of California, Los Angeles, and co-director of the UCLA preventative cardiology program. Developing effective and safe strategies to lower a-fib risk after surgery has been a challenge, he said. “These new studies, while modest in size, suggest that there is the potential for epicardial fat pad injection of botulinum toxin performed during the cardiac surgery to lower the risk of postoperative atrial fibrillation,” Fonarow said. However, additional studies involving larger numbers of patients are needed, he added. The reports were recently published online in the journal HeartRhythm. More information For more about atrial fibrillation, visit the American Heart Association. TUESDAY, July 10, 2018 (HealthDay News) — The common but dangerous heart rhythm disorder known as atrial fibrillation — or a-fib — can go undetected for years. Now, research suggests a high-tech, wearable patch might spot the condition early. Use of the Zio XT wireless patch, made by iRhythm, produced “an almost threefold improvement in the rate of diagnosis of a-fib in those actively monitored compared to usual care,” said study lead author Dr. Steven Steinhubl. He directs digital medicine at the Scripps Translational Science Institute, in La Jolla, Calif. The patch monitors electrocardiogram (ECG) readings via the skin, looking for telltale signs of arrhythmia — an irregular heartbeat. Spotting the irregular heartbeat is key, Steinhubl said, since a-fib greatly raises stroke risk. “Timely diagnosis of a-fib more effectively can enable the initiation of effective therapies and help reduce strokes and death,” Steinhubl said in a Scripps news release. One heart specialist not tied to the study said that the late detection of a-fib — which plagues nearly 6 million Americans — is a real issue. “Many patients who come in with a diagnosis of atrial fibrillation have had it for quite some time prior to seeing a doctor,” said Dr. Satjit Bhusri, a cardiologist at Lenox Hill Hospital in New York City. “By catching it early — that is, before symptoms of palpitations, passing out and stroke — one can lower the incidence of stroke related to undiagnosed atrial fibrillation.” The new study was funded by Janssen Pharmaceuticals as well as the U.S. National Institutes of Health. The study involved more than 5,200 people from across the United States, many of whom received and returned the small wearable patch by mail. Participants were all deemed to have risk factors that boosted their odds for a-fib. About one-third of the participants wore the patch — which adheres to the skin — and were monitored continuously for up to two weeks. The other two-thirds served as a comparison group. These patients received usual care, typically routine visits to their primary care physician. If they were diagnosed with a-fib that information turned up in their medical claims records. The result: After one year, a-fib was diagnosed in 109 people in the patch-monitored group (6.3 percent) versus 81 people in the unmonitored group (2.4 percent), Steinbhul’s group reported. That’s a near tripling of the diagnosis rate, the study authors noted. “This study demonstrates the utility of a digital approach not only to diagnosing asymptomatic a-fib, but to the clinical research field as a whole,” Steinhubl said. Dr. Marcin Kowalski directs cardiac electrophysiology at Staten Island University Hospital, in New York City. 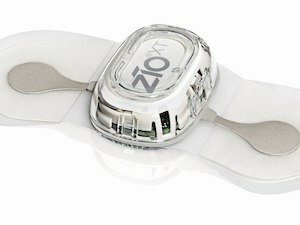 He believes the advent of devices like the Zio XT patch could be a boon to medical care, but it might also bring new problems. Aside from spotting a-fib, these devices are “capable of diagnosing other arrhythmias,” which otherwise might go undetected, Kowalski said. The potential downside, he said, is more work for an already overloaded health care system. “One must be mindful of the increase in data volume and the resources necessary to process,” Kowalski explained. “This technology could increase the number of transmissions, which may burden a health care provider’s limited resources.” The study was published July 10 in the Journal of the American Medical Association. More information The U.S. National Heart, Lung, and Blood Institute has more on atrial fibrillation.